Come down and explore your options for taking home a new Jeep today from our dealership. We have the new 2018 Grand Cherokee models in stock for you to explore. These vehicles come with features that make it easier for you to listen to music, stay connected with family and friends, and explore a variety of terrain. Come down and check out the most-awarded SUV ever, and find out how this vehicle can help you get where you’re going in style. The 2018 Jeep Grand Cherokee offers exceptional value and performance, and it is available for customers who are looking for leases near Thornton. Tons of exterior options are available to make it easier than ever to customize your ride. This vehicle comes with 17-inch silver aluminum wheels as standard equipment. It’s also possible to upgrade and get 18-inch silver painted aluminum wheels. The vehicle is designed to be extremely capable, and you’ll love features like automatic headlamps, LED taillamp and low beam daytime running lights. The vehicle also comes with premium fog lamps and a light headlamp bezel finish for that extra touch. Explore your options at our dealership and take home an incredible vehicle that you’ll absolutely love. 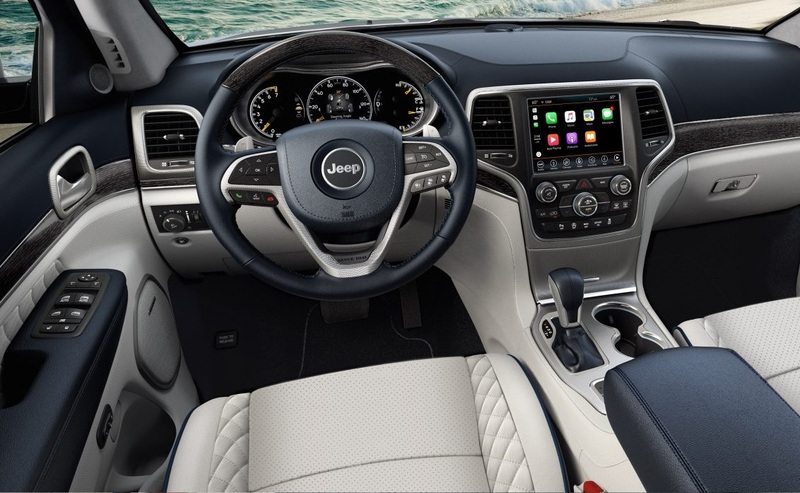 The 2018 Jeep Grand Cherokee offers exceptional value and performance, and it is available for customers who are looking for leases near Thornton. Why LEASE 2018 Jeep Grand Cherokee? Contact Pollard Jeep to find out and we will help you secure an incredible Jeep lease from our dealership. The interior of this vehicle is designed with comfort and convenience in mind. You’ll love the 60/40 split rear seats and the multiple interior color options. The vehicle also comes with optional heated front seats and a power 8-way driver seat with memory and eight-way pass seating. When it comes to convenience features, you’ll get air filtering, cargo tie down loops inside the cabin and a trim panel with a storage net to secure your gear. The vehicle also comes with a six speaker audio system, 7- or 8.4-inch touchscreen displays and the capability of playing your music with Apple CarPlay or Android Auto. Give us a call so that we can get you into the vehicle that makes the most sense for your situation. Tons of capability is built right into this vehicle. You’ll get a host of options, including a maximum towing capacity of 3,500 pounds. The vehicle also features a maximum payload of 1,180 pounds. Give the vehicle a test drive to discover how smoothly it handles the road and determine if this is the right car for you. You’ll fall in love with the sleek and seamless suspension system that gives you an incredibly smooth ride. Give our dealership a call to find out more about your options. Why LEASE 2018 Jeep Grand Cherokee? Contact Pollard Jeep to find out and we will help you secure an incredible Jeep lease from our dealership. The vehicle also comes with a dual start-stop battery system for even greater reliability. The 3.6-liter V6 EcoDiesel engine will provide you with all of the power you need to get where you’re going in style and class. Come down and explore all of our engine options so that you can find the best solution for your situation. Enjoy the 8-speed automatic transmission that gives you better control on the road, and you’ll also get a transmission heater to enjoy greater performance and reliability. The vehicle features 4×4 systems and has an outstanding braking system to help you come to a stop surely and completely. 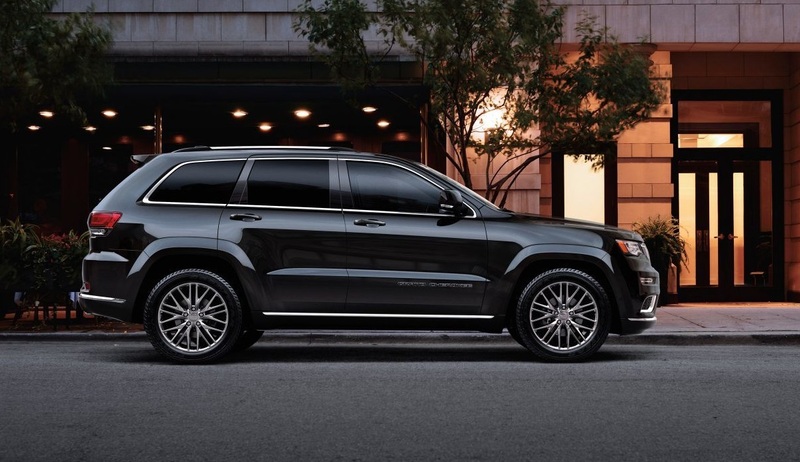 The 2018 Jeep Grand Cherokee offers exceptional value and performance, and it is available for customers who are looking for leases near Thornton. When it comes to safety, you have a lot to be thankful for with this new vehicle. Come down and explore the four-wheel traction control system, active head restraints and adaptive cruise control with stop functionality. The vehicle also comes with advanced multistage airbags, and the option to get blind-spot and cross-path detection systems for a better overall driving experience. Protect your family with autonomous features that scan the road and act as a second set of eyes to help you stay protected. This vehicle is designed from the ground up with safety in mind, and you’ll need to come by our dealership so that we can show you all of the safety features in person. Why LEASE 2018 Jeep Grand Cherokee? 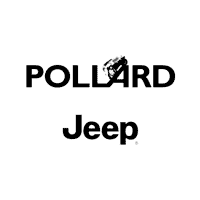 Contact Pollard Jeep to find out and we will help you secure an incredible Jeep lease from our dealership. Our dealership wants to help you get into a new vehicle, but you need to contact us to find out about our available vehicles and offers. Give us a call or stop by to find out more information, you can also visit our website to take a look at some of our featured inventory. We will work with you to help you get a lease you can afford, but you have to get in touch with us first. Get in touch with us so that we can get the process of starting your new lease going today. We will work with your budget to ensure you get an affordable vehicle that makes sense for your situation.